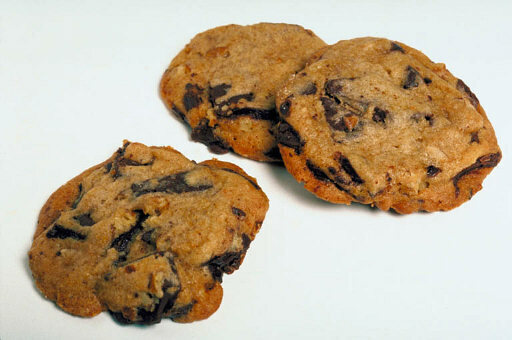 Cookies are small, flat, cake-like items, usually unrisen, and containing little water. They are many kinds, and they usually known as "biscuits" in English-speaking countries outside of North America (in North America, the word "biscuit" refers to a type of quick bread). Lebkuchen - This is a German recipe for cookies made from gingerbread. 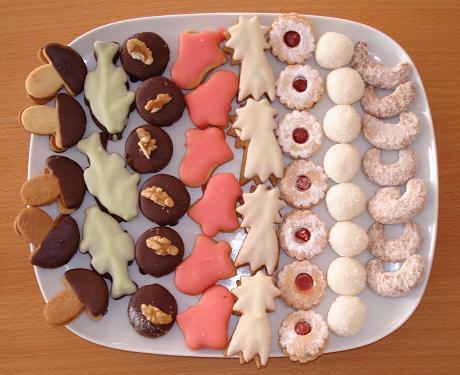 This cookies are most often eaten during the Christmas period. Lemon Squares - A tasty but easy-to-make cookie. Perishky - This is an Amish recipe for soft cookies. They are made from butter, sugar, sour cream, eggs and flour, flavored with lemon juice, and contain jam. Vánocní cukroví - This is a Czech recipe. This type of cookie is are prettily decorated, and eaten during the Christmas season. Discover The Secrets To Amazing Chocolate Chip Cookie Baking. Make Cookies Like The Pros. Insider Secrets Few Home Bakers Know!